A violent war raging in south Asia in 1971 resulted in the creation of Bangladesh as a sovereign nation state. Four decades on, Bangladesh has re-initiated a domestic war crimes trial process that contains its own power dynamics, exclusions and silences. This article weaves through divergent layers of the complex politicisation of memory by various actors. 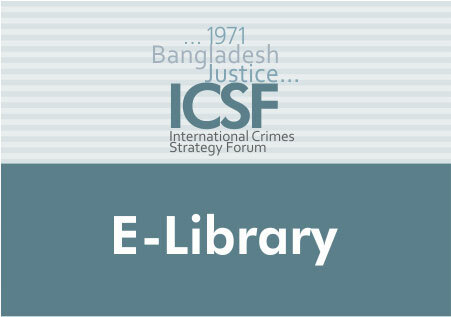 It provides a brief background of the current impasse, the fractured process and the hierarchical nature of various international discursive interventions delegitimising the trials and considers popular protests in Shahbag, Dhaka, through which collective remembrance becomes a distinct and disputed social and political practice.